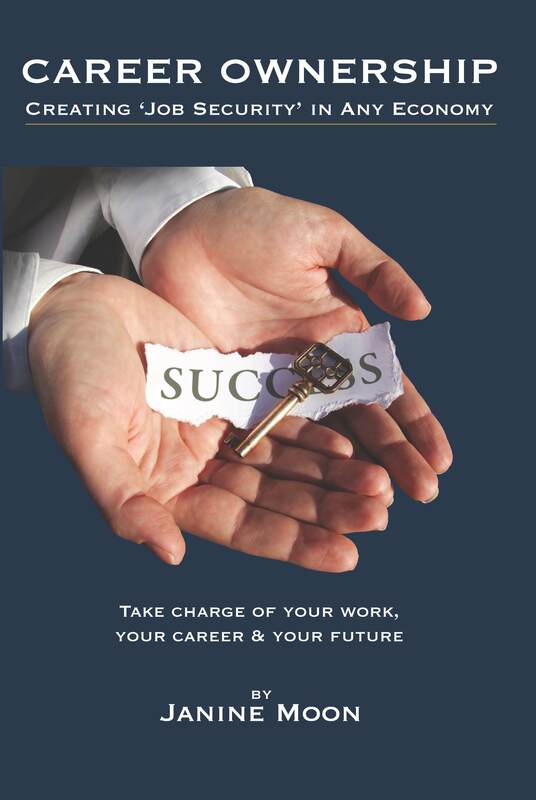 Is Career Ownership for You? Let’s get right down to it: owning your career takes desire, effort and initiative. If you don’t have these things, or don’t want to invest in yourself, then this message isn’t for you. However, if you’re looking for economic security and work satisfaction in today’s incredibly unstable marketplace, then this is the only way to go. Career ownership has several segments: knowing yourself; leveraging your strengths; learning your organization; aligning for results; and developing your business case. Each segment is critical for an optimum end result, but each one can stand on its own and move you closer toward a definite career path. We’ll look at the first segment today and others over the next weeks. We all think we know ourselves, especially after we’ve collected some work and life experience. And maybe we do, but not usually on a very thorough or conscious level. And it’s the ‘conscious’ part that’s important. You see, when you know yourself–who you are and what you’re about— you can be authentic because you learn to recognize your truth. And without this truth of who you are, you’re afraid to be authentic because you’re measuring yourself using someone else’s benchmarks. By reviewing values, motivators, talents, skills, successes, etc. and surfacing them (digging down and bringing them to awareness), you see themes emerge. These themes are clues to what is significant and important to you, and what work elements will prove satisfying. The themes and clues come together, intellectually and emotionally, and you know this as your life’s foundation. This foundation is the “bench mark” for measuring decisions, both personal and professional. When you can bump decisions up against your foundation, you know what fits and what doesn’t…you are no longer measuring against someone else’s values and perspectives. You can be true to yourself. While we think we know ourselves, until we have gotten crystal clear, we have nothing solid with which to guide our decisions…so they’re often ill-fitting. Many people build their foundation upon the organization they are in. Whatever the organization values becomes the values they take on…it’s the price for sticking around. Maybe you recognize yourself in Mark. Mark has been with his organization for over 20 years and knows what flies and what doesn’t. He knows what is expected in order to be “successful,” and he knows what will make the execs shake their heads and mumble about him “not being a team player.” Mark also knows he is miserable. He’s fearful about staying and he’s afraid to leave, not really certain of what he would look for and unclear as to how he would avoid getting in a similar position. So Mark is frustrated: if he stays, it’s likely more of the same. Yet he’s not very confident that he can find another position, better than the one he has. And, it’s scary out there. So he hunkers down and sells pieces of his soul, giving maybe 20% of his ability and not rocking the boat. Eventually, he could find himself with a stress level that takes physical and emotional tolls. Knowing yourself means you go after work that fits ‘hand in glove’ with who you are…not a job, not a box, not a hope for something better than you’re leaving. (There’s a reason why the first 90 days or so is called the honeymoon period.) When you know your strengths and values, you can target organizations that need your capabilities and working together becomes a partnership where you both win. This works inside an organization as well, and maybe even better…because you can more easily find information to help you build your case for career movement and have access to mentors and sponsors who will help you along the way. But it starts with knowing yourself. Until you do the introspective work that makes your foundation clear, you know yourself through others’ perspectives. And, in the business world that’s often negative: it’s the deficiencies and failings that get addressed. When you’re clear about your foundation, you can stay balanced and move forward with confidence. How to do this? Hundreds of self-help books promise a process that works. The key is in finding the one that works for you. You can talk with a trusted confidant or advisor, although the key here is finding someone objective enough to guide but not advise; to listen long and deep, but not talk. Online assessments can provide you with some reflection, but it’s not so true as looking inside yourself. The best way? Work with a coach who has a process that helps you look deep, is trained in coaching skills (listening, discerning, querying, et al.) and who is objective. A qualified coach can help you work through blocks and examine your beliefs, and encourage you to think critically…not from emotion. And yes, it will be an investment. But it’s an investment in the first day of the rest of your career, and the basis for creating satisfying work that makes a difference. I think that what you published was very reasonable. But, what about this? you added something that grabbed folk’s attention? I mean Is Career Ownership for You?